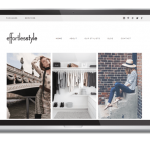 Katie Rushton is the founder of the Nashville-based personal shopping company Effortless Style. Along with her team of stylists, she works with clients who range from corporate powerhouses, to musicians, to working parents. No matter the client, her approach starts by building relationships so she can create a personalized, polished look that builds confidence and creates ease in their daily lives. Individualized Image Consulting Services from a Trusted Nashville Stylist.